You be the judge, there's the real beard, the belly that shakes like a bowl full of jelly, the beautiful custom suit, and most importantly a jolly spirit and a love of all things Christmas. Based out of Fergus Falls MN, and available for adult and children's parties, in home visits, store visits, etc Mrs Claus is available too for a dynamic duo. I've been Santa since the early 90's, In the past I have been in television commercials and worked in malls. Master Santa was perfection! He (and Mrs. Claus) are great communicators, prompt and creative! Santa even had a mobile app to check to see who was naughty or nice. Kids are still talking about him days later! Thank you for the best Christmas memory! Thank you Jen for the kind words, we had such a great time visiting with all the children. One other thing you should know about him, the money he gets from Santa visits does not even begin to cover the money he invests into the community each Christmas, from his insane light show, to him arranging free professional photo's with Santa, to gifts for the less fortunate, this man really has the true heart of Santa, and brings joy to countless numbers of people each year. A professional Santa who will stay in character. I will arrive ahead of schedule and do my best to make sure everything goes great. Just communicate with me ahead of time regarding any special requests. I've been portraying Santa since 1990. I have been a Santa in the local mall, parades, radio, television, corporate holiday parties, in front of light displays, tree lighting ceremonies, private homes, hospitals, nursing homes and probably some other things too. 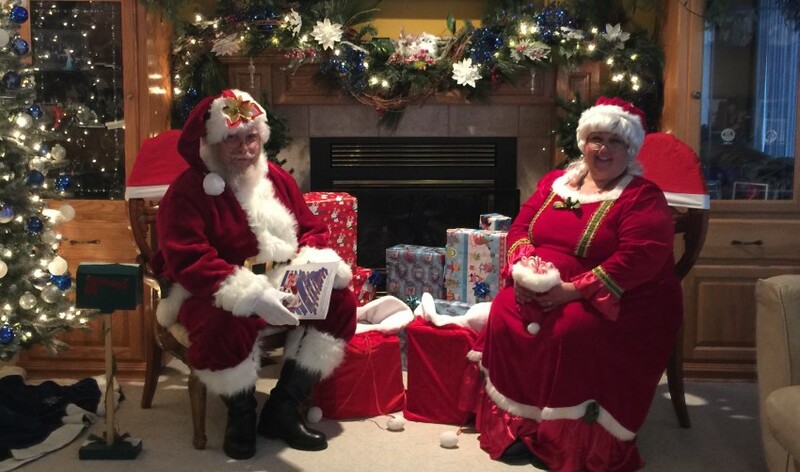 My wife decided to join in on the fun and become Mrs Claus a couple of years ago, since then she has amassed more costumes than me! 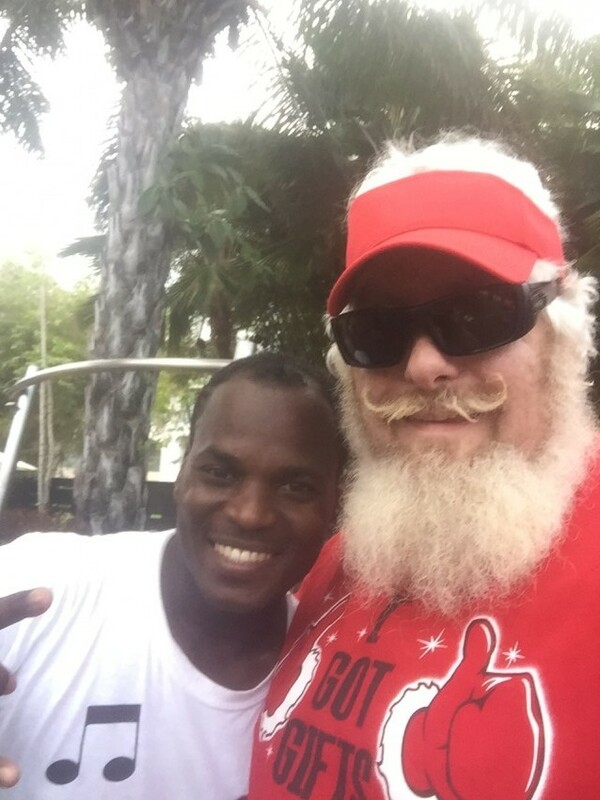 We are both graduates of Santa School., and we both are members in several Santa organizations. We are proud parents, and grandparents, and love nothing more than stirring up the magic in a child's heart. The other 10 months of the year, we are the owners / operators of The Computer Hero in Fergus Falls. This info is in the Stage/Setup Requirements, and feel free to call me to go over anything special. I need a room with a mirror to get dressed in and 10-15 minutes dressing time. It is best to have a distraction when Santa is coming or leaving. I can park a house or two away so they do not see me getting into a car. Santa's suit is very expensive, so if you can help me out, please make sure the children's hands are not covered in any sticky candy before coming up to see Santa. While on site, I am 100% in character so adults are asked not to speak to me as if I am not Santa, this one is usually harder than you think for adults.